GAME OF THRONES---HBO announced Josh Whitehouse (POLDARK) will co-star with Naomi Watts in the untitled GAME OF THRONES prequel pilot. HBO also denied George RR Martin's recent post that the series is titled THE LONG NIGHT and said that is Martin's personal favorite title, not HBO's. RENDLESHAM---Laurence Fishburne will star in this Sony Pictures Television eight-part miniseries based on the true incident in 1980 when Lt. Col. Charles Halt, deputy base commander, and US Air Force security guards encountered a UFO that landed in the Rendlesham Forest at the RAF Woodbridge air base. The incident is known as "Britain's Roswell". 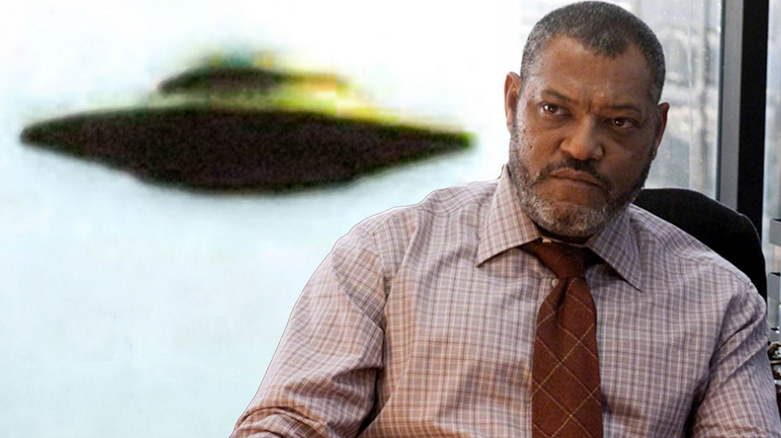 Fishburne will play a former airman at RAF Woodbridge who is haunted by the UFO encounter. 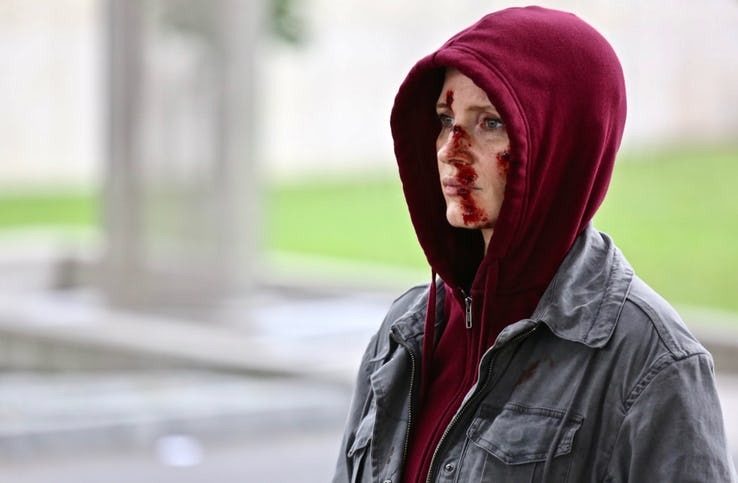 EVE---photo shows Jessica Chastain starring in the movie about a deadly female assassin. CORTO MALTESE---Tom Hughes and Mila Jovovich star in this possible movie franchise based on the comic book about Chinese revolutionaries who hire ex-sailor Corto Maltese to hijack Czar Nicolas II's armored train which is transporting a hoard of gold. BODY CROSS---movie underway about a Russian agent who becomes the top lieutenant for a London mob boss who orders him to assassinate a fellow Russian. William Oldroyd (LADY MACBETH) is the director. The movie was originally planned to be a sequel to EASTERN PROMISES. TOP GUN: MAVERICK---Tom Cruise confirmed frequent collaborator Christopher McQuarrie will rewrite the sequel script. TOFF GUYS---Hugh Grant will play a British tabloid reporter in the Guy Ritchie movie about European old money meeting modern marijuana industrial complex. Matthew McConaughey and Kate Beckinsale also star. MARVEL STUDIOS---Marvel Studios hired writer David Callahan (WONDER WOMAN 1984, THE EXPENDABLES) to write a Marvel movie. Speculation is that the movie could be BLACK WIDOW or DOCTOR STRANGE 2. PENNY DREADFUL: CITY OF ANGELS---Showtime spinoff series underway set in 1938 Los Angeles with new characters and storylines. EINSTEIN---NBC tv remake of the German tv series in which the illegitimate offspring of Albert Einstein helps the police solve complex cases. RESCUE 911---reboot of the series is underway with William Shatner returning as the host. STRANGERS---Fox/Sony Pictures Television tv series underway based on the Stephen Koontz novel. JOYLAND---Freeform tv series underway based on the Stephen King novel about a college student working at a North Carolina amusement park and must deal with the legacy of a murder. NETFLIX---NETFLIX renewed CASTLEVANIA and THE RANCH. Also, Barack and Michelle Obama acquired the Netflix rights to the book THE FIFTH RISK which is about chaos created in the Departments of Energy, Agriculture and Commerce during the transition between the Obama and Trump Administrations. BAD BOYS FOR LIFE---Martin Lawrence confirmed he is returning for the sequel with Will Smith. 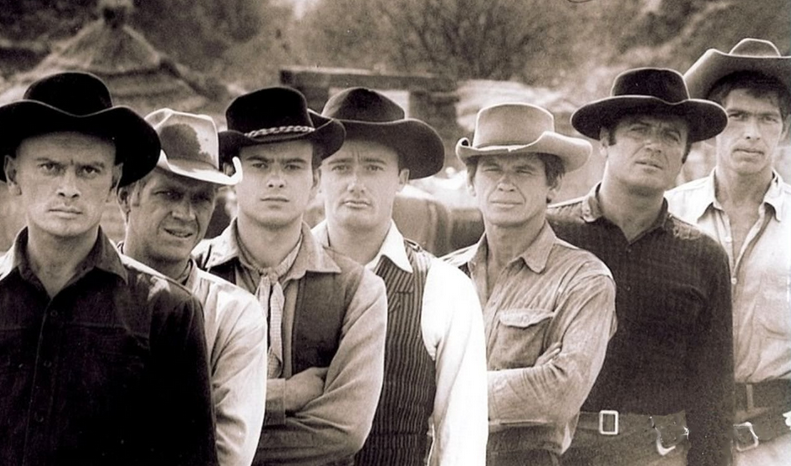 TRIVIA---contrary to popular belief, THE MAGNIFICENT SEVEN was not the first movie that featured Steve McQueen, Charles Bronson and director John Sturges. The trio first made NEVER SO FEW starring Frank Sinatra and Gina Lollobrigida, followed by THE MAGNIFICENT SEVEN and THE GREAT ESCAPE. 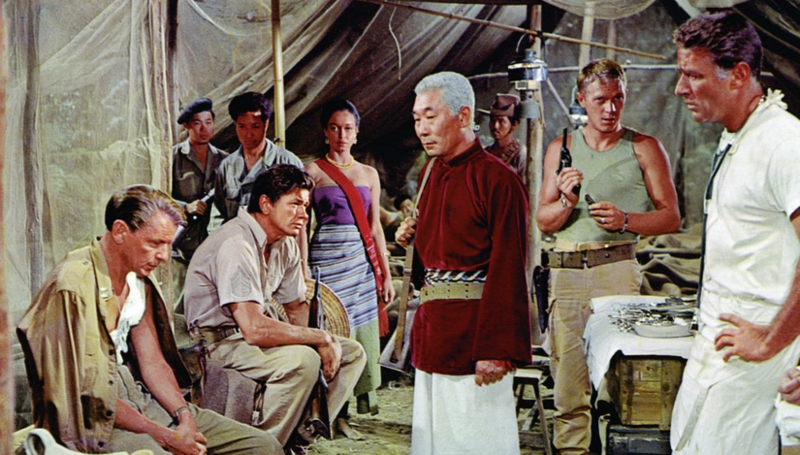 NEVER SO FEW (1959) was the first movie for the trio of Steve McQueen, Charles Bronson and John Sturges. McQueen, Bronson and Sturges reunited for THE MAGNIFICENT SEVEN (1960). 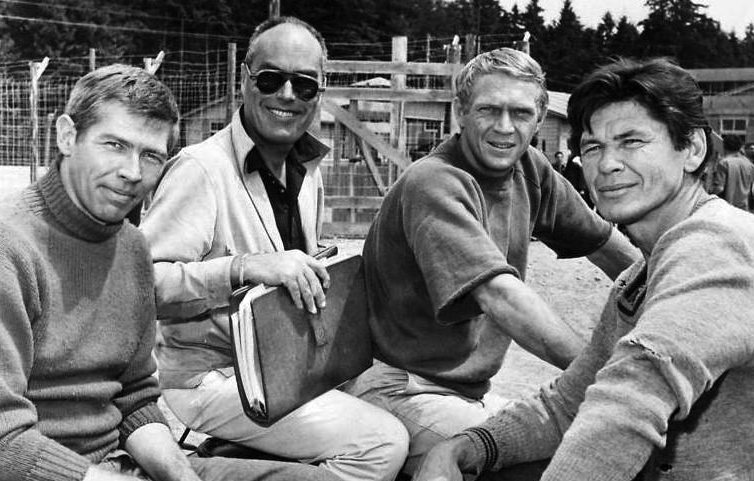 McQueen, Bronson, Sturges and James Coburn (from THE MAGNIFICENT SEVEN) reunited for THE GREAT ESCAPE (1963). GLADIATOR 2---Ridley Scott and Paramount Pictures are developing a sequel to Scott's 2000 movie which won five Academy Awards. The sequel will focus on Lucius, the son of Lucilla (Connie Nielsen), and his being influenced by the late Maximus (Russell Crowe). Peter Craig (TOP GUN: MAVERICK) will write the script. 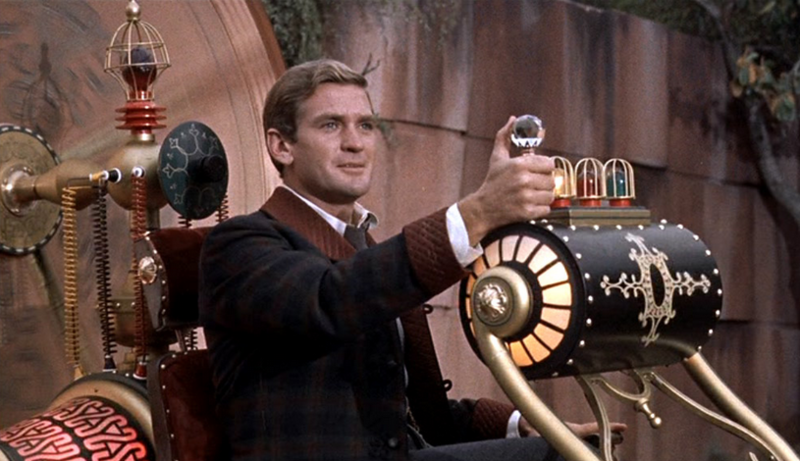 THE TIME MACHINE---Warner Bros./Paramount Pictures remake movie is underway based on the HG Wells novel. Andy Muschietti (IT) is the co-writer/director. Leonardo DiCaprio is the producer. The 1960 George Pal movie starred Rod Taylor, and the 2002 remake starred Guy Pearce. EW also said one episode will be focus on the battle with the Army of the Dead which it described as,“the most sustained action sequence ever made for television or film." BIRDS OF PREY---Ewan McGregor will play villain Black Mask in the DC Films movie that also stars Margot Robbie and Mary Elizabeth Winstead. RAMBO: LAST BLOOD----first official photo of Sylvester Stallone in the last Rambo movie. THE MAN FROM NOWHERE---US remake underway of the South Korean movie about an ex-black ops soldier who seeks to rescue a young boy, who is his friend and neighbor, after he is kidnapped by a crime syndicate. Derek Kolstad (JOHN WICK) is the writer. THE HITMAN'S WIFE'S BODYGUARD---Samuel L. Jackson, Ryan Reynolds and Salma Hayek are returning for the sequel which has the trio on a mission on the Amalfi Coast. AXIS SALLY---Al Pacino and Meadow Williams star in this movie about Mildred Gillars, an American woman who was forced by the Germans to broadcast pro-Nazi programs during World War II and was named "Axis Sally" by GIs. Pacino will play the attorney who defended Gillars when she was convicted of treason after the war. THE COURIER---Olga Kurylenko (QUANTUM OF SOLACE) stars in this movie about a female courier who discovers the package she is delivering is a bomb intended for a witness to a crime lord's murder. She must protect the witness from corrupt CIA agents and Russian assassins. WATERSHIP DOWN---BBC/Netflix two-part animated miniseries underway based on the children's book. The voice cast includes James McAvoy, Ben Kingsley, John Boyega, Peter Capaldi and Rosamund Pike. THE WATCH---BBC America eight-part miniseries underway based on the Discoworld novels. HALO---Showtime announced Master Chief will part of the tv series based on the video game. 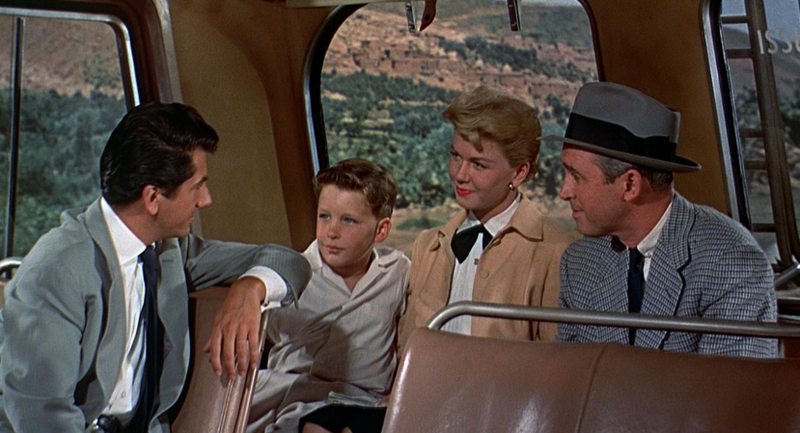 TRIVIA---In THE MAN WHO KNEW TOO MUCH, Christopher Olsen played Hank McKenna, the son of the parents played by Jimmy Stewart and Doris Day. Olsen is the brother of Cindy Olsen, who played Cindy Brady on THE BRADY BUNCH. In THE MAN WHO KNEW TOO MUCH, Christopher Olsen played Hank McKenna. 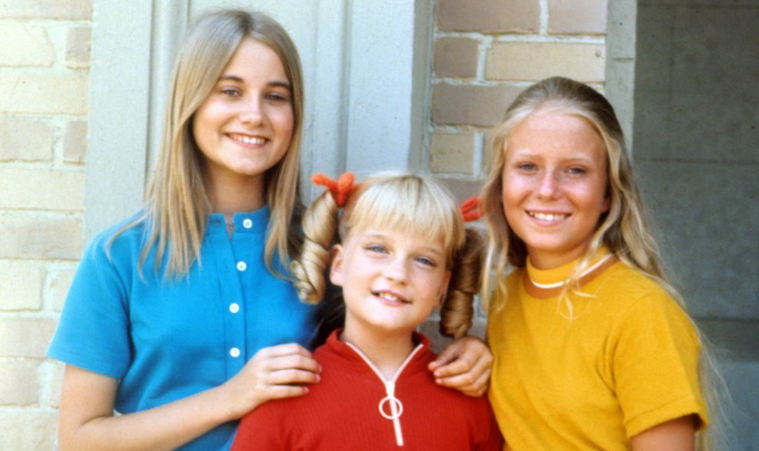 Olsen's sister is Susan Olsen who played Cindy Brady on THE BRADY BUNCH. TOP GUN: MAVERICK---sequel photo shows Tom Cruise and Jennifer Connelly recreating the famous motorcycle scene from the original 1986 movie. KNIVES OUT---Christopher Plummer is in talks to join the cast of Daniel Craig, Chris Evans, Michael Shannon, Don Johnson and Jamie Lee Curtis in the Rian Johnson murder mystery movie. WAR OF THE WORLDS---Greg Kinnear is in talks to star in the Canal Plus/Fox eight-part miniseries set in the present day. It is not connected to the BBC three-part miniseries set in Victorian England starring Rafe Spell. THE COLOR PURPLE---Steven Spielberg, Oprah Winfrey and Quincy Jones are developing a movie musical based on the Broadway musical which was based on the Spielberg movie. METROID---Brie Larson dressed up as Samus Aran from the METROID video game and said she wants to make a movie version, "...I want to make that movie." INHERITANCE---Simon Pegg and Kate Mara star in this movie about a family patriarch who dies and leaves his inheritance to his wife and daughter with dire consequences. ALPHAS---movie underway about a school of great white sharks that terrorize a coastal town. The town's only hope is a damaged killer shark kept in solitary confinement after it killed its trainer. Steven Quale (FINAL DESTINATION 5) is the director. TENDER IS THE NIGHT---Hulu miniseries underway based on the F. Scott Fitzgerald novel. Gerard Butler is starring as Capt. Joe Glass, commander of the submarine USS Arkansas in HUNTER KILLER. One of Butler's first movie roles was in TOMORROW NEVER DIES where he played a seaman on the HMS Devonshire. Gerard Butler plays Capt. Joe Glass, commander of the submarine USS Arkansas, in HUNTER KILLER. 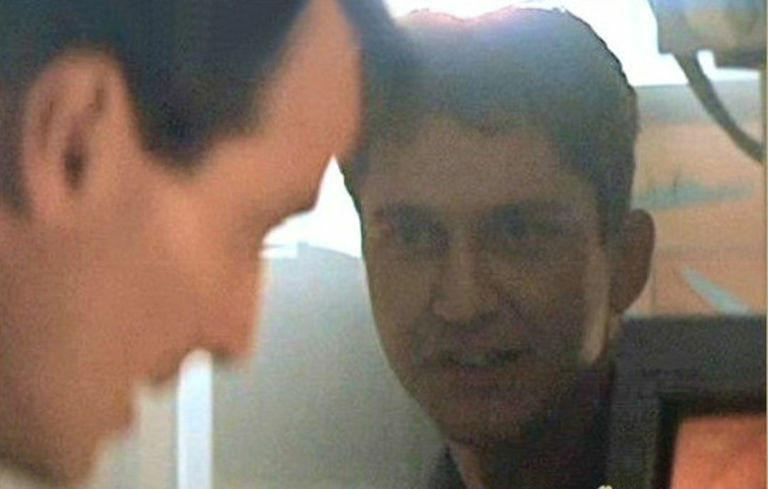 Butler played a seaman on the frigate HMS Devonshire in TOMORROW NEVER DIES. THE WALKING DEAD---midseason trailer released. Rick Grimes' last episode had a slight ratings increase with 5.4 million viewers compared to 5.1 million viewers for the previous episode. Now that he has left the series, Andrew Lincoln said that Glenn's gory death was a big mistake," I regret the manner in which it happened. We’ve been able to terrify people in film for 100 years without having to show an eyeball. When that happens, it diminishes what we’re trying to make, which in my mind’s eye is a family drama set in hell. It’s not a sort of B-movie gorefest." He added, "I don’t discredit that. It’s part of the thrills and spills of the show. But when we’re dealing with losing somebody — and a very brutal, human kind of death — I think it’s just taste. My taste is, I think it would be more disturbing just keeping the camera on Maggie’s face [Glenn’s wife, played by Lauren Cohan]. And maybe that’s why I want to direct, because I want to make what I’ve been filming in my head." Also, Norman Reedus and Melissa McBride signed new deals. Reedus will earn $350,000 per episode. No details were known about McBride's deal. DEADWOOD---HBO released a synopsis for the sequel movie, "The indelible characters of the series are reunited after ten years to celebrate South Dakota’s statehood. Former rivalries are reignited, alliances are tested and old wounds are reopened, as all are left to navigate the inevitable changes that modernity and time have wrought." Ian McShane, Timothy Olyphant, John Hawkes, Paula Malcolmson, Brad Dourif, Molly Parker, Robin Reigert, Kim Dickens and other members of the original cast are returning. STAR WARS: EPISODE IX---Adam Driver replied to what is most interesting about playing Kylo Ren, "That’s hard to say because we’re working toward something in particular with that character. I don’t want to give anything away." HELLBOY---Thomas Haden Church will reportedly play Lobster Johnson in the reboot movie. WILLY WONKA---prequel movie about the early life of Willy Wonka is underway. Paul King (PADDINGTON) is in negotiations to direct. PADDINGTON 3 is underway, but King probably won't be returning as director. ONCE UPON A DEADPOOL---PG-13 version of DEADPOOL 2 will have a limited run in theaters from December 12-24. HARRY HAFT---Ben Foster stars in this Barry Levinson movie based on the true story of professional boxer Harry Haft who survived the Auschwitz concentration camp by boxing other inmates. The winner would live and the losers were executed by the Nazis. SWAMP THING---Will Patton (HALLOWEEN) will play ruthless tycoon Avery Sutherland in the DC Universe pilot. LOU---Allison Janey will star in this movie about a young woman and her landlord who team up to rescue her daughter who was kidnapped by her estranged husband. GREEN KNIGHT---medieval movie underway about Sir Gawain and the Green Knight. David Lowery (A GHOST STORY) is the director. KING OF STING---Fox tv series underway about Carlos Sagastume, an illegal immigrant who became the DEA's best undercover operative. 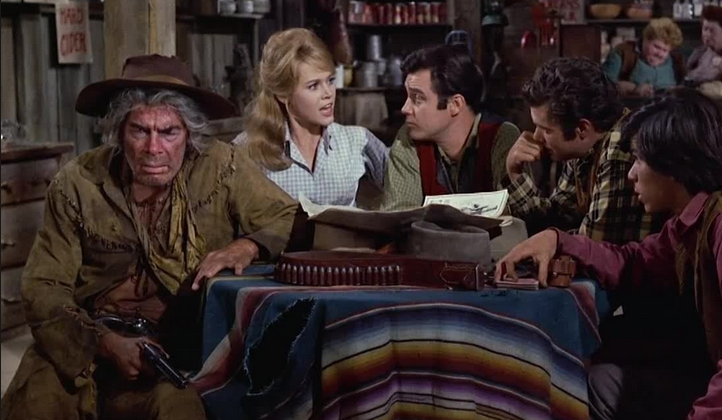 TRIVIA--while filming CAT BALLOU, the relationship between stars Jane Fonda and Lee Marvin was less than ideal and worsened when Fonda's husband, French director Roger Vadim, visited the set. Vadim wrote in his memoir, BARDOT, DENEUVE, FONDA, "When he was drunk, he would tell me that he hated the French. 'But,' he would add, 'I like you because you're half Russian, even though I hate Russians also.'" In CAT BALLOU, stars Jane Fonda and Lee Marvin had a less than ideal relationship, and it worsened when her husband, French director Roger Vadim, visited the set. Vadim directs Fonda in BARBARELLA. BREAKING BAD---a two-hour Sony Pictures/Vince Gilligan movie is underway in New Mexico under the working title of GREENBRIER. The movie, “tracks the escape of a kidnapped man and his quest for freedom.” No other information, such as if it is a tv or theatrical movie, was released. THE WALKING DEAD---Andrew Lincoln said he definitely will not be returning to the tv series, "I can categorically say that I will not be returning to the TV show." EXPLORERS---Cary Fukunaga and David Lowery are writing a tv pilot based on the 1985 Joe Dante sci fi movie that starred Ethan Hawke and River Phoenix. PERRY MASON--HBO reboot of the tv lawyer series is underway with Matthew Rhys (THE AMERICANS) as a candidate to play Mason. The original tv series starred Raymond Burr and ran on CBS from 1957-1966. SWAMP THING---Andy Bean will play Alec Holland, and Derek Mears will play Swamp Thing in the tv pilot. THE PURGE---USA network renewed the series for Season 2. SURVIVORS CLUB---CW tv series underway based on the comic book. GOOD BEHAVIOR----TNT cancelled the series. MILITARY MEDICAL---CBS/Jerry Bruckheimer untitled military medical series underway about the medical staff at the Uniformed Services University. VALET---Noah Centineo stars in this movie about a valet driver who gets involved in a government mission to take down an international arms dealer. UNIVERSAL PICTURES ANIMATION---the studio is rebooting its SHREK and PUSS IN BOOTS animated movies and hopes to return the original voice casts. TRIVIA---before Burt Bacharach won Academy Awards for BUTCH CASSIDY AND THE SUNDANCE KID and ARTHUR, he wrote the theme song for THE BLOB, the 1958 sci fi movie that was the first starring role for Steve McQueen. The lyrics were written by Mack David, the brother of Bacharach's longtime partner, Hal David. The song reached the #33 spot on the Billboard Hot 100. 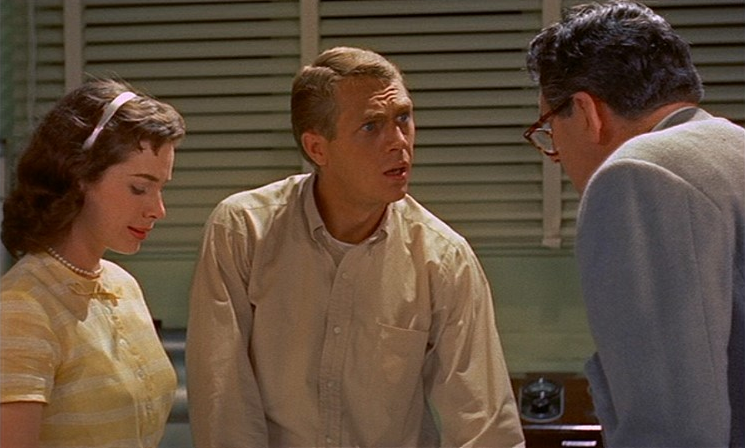 Steve McQueen's first starring role was in THE BLOB with Aneta Corsaut (THE ANDY GRIFFITH SHOW) playing his girlfriend. BREAKING BAD---Aaron Paul will reportedly star in the tv movie sequel to the series. Bryan Cranston commented on the sequel, "There appears to be a movie version of BREAKING BAD, but I, honestly have not even read the script...It's a great story, and there's a lot of people who felt that they wanted to see some kind of completion to these storylines that were left open (from the series), and this (movie) idea, from what I'm told, gets into those. At least a couple of the characters who were not completed, as far as their journey." He added about his possible involvement, "There's a question of whether or not we'll even see Walter White in this movie...I don't know if there is an appearance or how, what kind of appearance: flashbacks, flashforward, I have no clue...If Vince Gilligan asked me to do it, sure, absolutely. He's a genius." WEST SIDE STORY---a source said Eiza Gonzalez (BABY DRIVER) "is likely going to play Anita" in the Steven Spielberg remake movie. Anita was played by Rita Moreno in the original movie. THE LOUDEST VOICE IN THE ROOM---photo released shows Russell Crowe starring in the Showtime miniseries based on the book about Roger Ailes, founder of Fox News. Naomi Watts, Sienna Miller and Seth McFarlane also star. STAR WARS---Ron Howard commented on possibly returning to direct another STAR WARS movie after SOLO: A STAR WARS STORY, "I had a great experience with that. It would depend entirely on the story". Also, after reports that EPISODE IX will be a "course correction" for the much-maligned THE LAST JEDI and SOLO movies led to a Twitter exchange between a fan and Rian Johnson. DHAKA---Chris Hemsworth stars in this Netflix/Russo brothers movie about a man who must rescue an Indian businessman's son who was kidnapped. THE WITCHES---a rumor says the Robert Zemeckis remake of the 1990 movie that starred Anjelica Huston will involve Luke, a young black boy, and is set in Alabama. THE UNDOING---Nicole Kidman stars in this HBO series based on the book YOU SHOULD HAVE KNOWN in which Grace Sachs, a New York therapist, must deal with murder and a missing husband. Susanne Bier (THE NIGHT MANAGER, BIRD BOX) is the director. GORMENGHAST---Fremantle tv series underway based on the fantasy books. Toby Whitehouse (DOCTOR WHO) is the writer/producer with Neil Gaiman and Akiva Goldsman. THE INVISIBLES---tv series underway based on the comic book. THE SORORITY GIRL WHO SAVED YOUR LIFE---ABC tv series underway based on the autobiography by Tracy Walder, a USC sorority girl who joined the CIA and became a covert operative for the CIA Counterterrorism Center. TWILIGHT INTO DARKNESS---Mickey Rourke is the star/producer of this movie about a detective who pursues a child killer. THE LEAGUE OF WIVES---movie underway based on the book about the wives of Vietnam POWs who formed a league to return their husbands from North Vietnamese prisons. Reese Witherspoon is the producer. TRIVIA---WITNESS starred Harrison Ford and Kelly McGillis and was nominated for eight Academy Awards. In a workshop scene, McGillis says, "You know carpentry", and Ford replies, "Yeah, a bit." In reality, Ford was a full-time carpenter before he achieved stardom in STAR WARS. 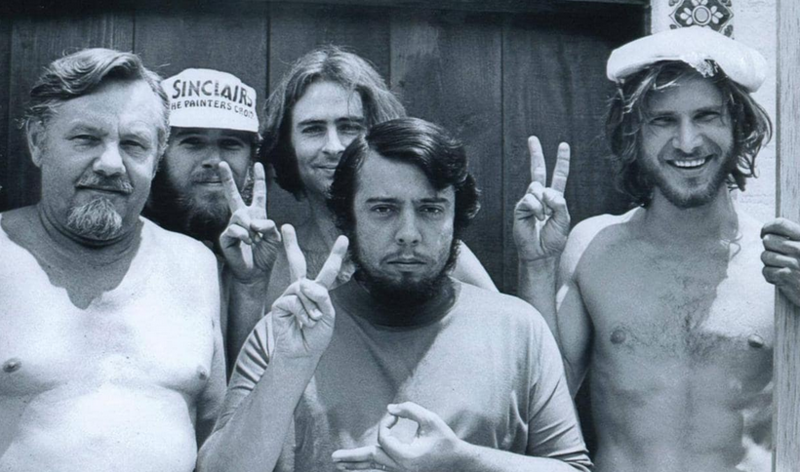 His first carpentry job was building a studio for musician Sergio Mendes, even though Ford knew nothing about carpentry and had to check out carpentry books from the local library to quickly learn his craft, “The first job I had was a $100,000 recording studio for Sérgio Mendes in his backyard in Encino. A very nice man, Sérgio. And never asked me if I had done it before. So, I never brought it up and it came out very well, thank you. But thanks to books from the Encino Public Library." After STAR WARS; THE FORCE AWAKENS premiered, Mendes posted a photo of himself with Ford and his crew after they finished building the recording studio. In WITNESS, Kelly McGillis says, "You know carpentry", and Harrison Ford replies, "Yeah, a bit." Sergio Mendes posted a photo of himself with Ford and his crew after they finished building the recording studio with the caption, '"The Force Awakens"! 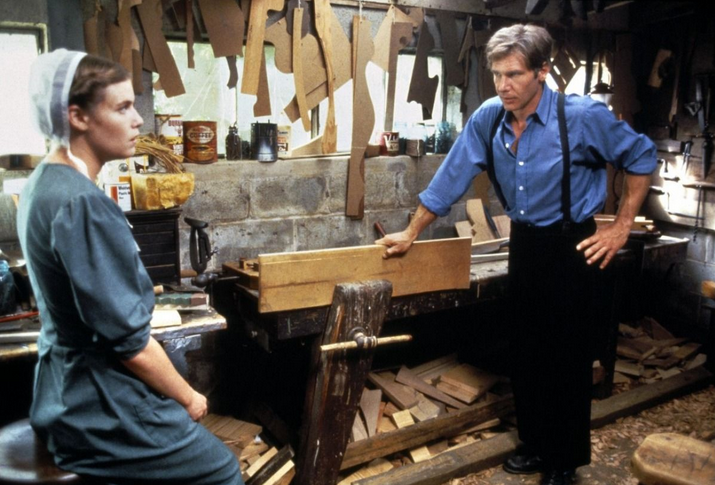 Before Han Solo, there was a great carpenter named Harrison Ford. And here he is, with his crew, the day he finished building my recording studio back in 1970...Thank you Harrison...may the force be with you..."
STAR WARS---Lucasfilm is developing a second STAR WARS live-action tv series which will be a prequel to ROGUE ONE: A STAR WARS STORY. Diego Luna, who is returning as Cassian Andor, said, “Going back to the Star Wars universe is very special for me. I have so many memories of the great work we did together and the relationships I made throughout the journey. We have a fantastic adventure ahead of us, and this new exciting format will give us the chance to explore this character more deeply." LOKI---Tom Hiddleston will return as Loki in an untitled Marvel Studios/Walt Disney Studios miniseries for the Disney Plus streaming service. JONNY QUEST---Chris McKay (THE LEGO BATMAN MOVIE) will direct the Warner Bros. live-action movie based on the animated tv series that ran on ABC from 1964-1965. GODZILLA VS. KONG---Jessica Henwick (GAME OF THRONES) has joined the sequel cast in an undisclosed role. GAME OF THRONES---Denise Gough and Sheila Atim are in talks to star in the HBO prequel series. WATCHMEN---Jeremy Irons will play Ozymandias in the HBO series. HOLD BACK THE STARS---John Boyega and Letitia Wright will star in this movie based on the sci fi romance novel. TREADSTONE---Brian J. Smith (SENSE8) and Jeremy Irvine (WARHORSE) will star in the USA Network Jason Bourne spinoff tv series. ROCK HUDSON---untitled biomovie underway with Greg Berlanti as the writer/director. DuPONT---Mark Ruffalo stars in this movie as attorney Robert Bilott, who filed an environmental lawsuit against DuPont for chemical pollution. ORANGE IS THE NEW BLACK---Lionsgate Television is in talks to develop a sequel series. 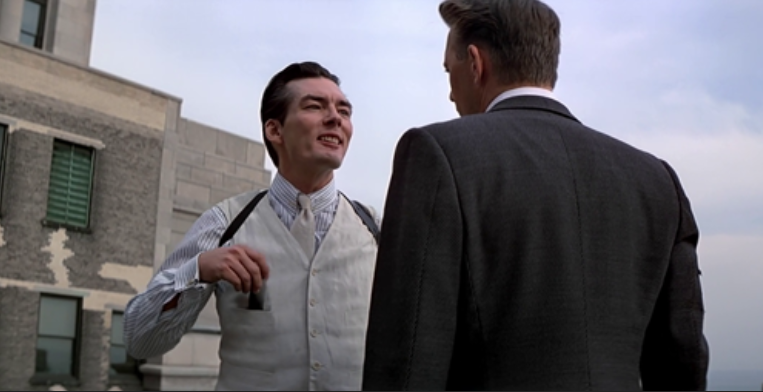 TRIVIA---in THE UNTOUCHABLES, Eliot Ness (Kevin Costner) pushed mobster Frank Nitti (Billy Drago) off a roof after Nitti admitted he killed fellow Untouchable Jimmy Malone (Sean Connery), "I said that your friend died squealing like a stuck Irish pig! Now you think about that when I beat the rap." In reality, Nitti was sent to prison with Al Capone for income tax evasion. 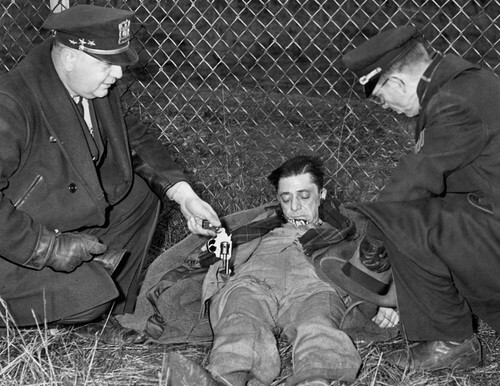 Eleven years after he was released from prison, Nitti and members of his Chicago gang were indicted for trying to extort money from movie studios including 20th Century Fox, MGM, Paramount Pictures and Columbia Pictures. In THE UNTOUCHABLES, Eliot Ness pushed mobster Frank Nitti off a roof after Nitti admitted he killed fellow Untouchable Jimmy Malone, "I said that your friend died squealing like a stuck Irish pig! Now you think about that when I beat the rap." In reality, Nitti shot himself because he was facing a second prison sentence or he had terminal cancer. STAR TREK---a STAR TREK: DISCOVERY spinoff series starring Michelle Yeoh as Phillippa Georgiou is in the early stages of development for CBS All Access. STAR TREK---writer Michael Chabon (WONDER BOYS). who wrote one of the four STAR TREK: DISCOVERY short films, is writing for the new Jean-Luc Picard tv series. He spoke about Picard, "Captain Picard is the hero we need right now. He exemplifies in some ways even more then James Kirk — and I’m not gonna get into the Kirk vs Picard argument because I love Captain Kirk, he was my first captain — but Picard is even more of an exemplar of everything that is best about Star Trek’s vision for the future.… And he wasn’t such a hound dog as Captain Kirk." Chabon said Patrick Stewart wants, "Jean-Luc Picard having experiences, having adventures, and be put in situations we haven't seen before." He also commented on STAR TREK canon, “Any STAR TREK writer, any writing room on any STAR TREK show after, let’s say, The Original Series had a responsibility to consider canon, to know your canon. Just speaking for me, that’s an incredible pleasure – to have a legitimate excuse, and get paid, to nerd out completely. At the same time, and this is true when you’re dealing with any kind of canon, there’s always gaps. There are cracks. There are contradictions. There are mysteries that we never got to hear the explanation of, when people allude to things in canon and don’t give any further explanation. Maybe the greatest example in all canon ever is the giant rat of Sumatra from Sherlock Holmes. Fans and writers ever since have tried to come up with possible explanations for that. So I think it’s important not just to view canon as a barrier, as a perimeter beyond which you can’t go, a kind of a grid that you’re trapped on. You try to find the loopholes. You find the empty areas. You find the things the canon doesn’t seem to have anything to say, and you say it. And if you’re really lucky and you get to be working on a STAR TREK show then what you say becomes canon itself." TOP GUN: MAVERICK---Paramount Pictures denied a British tabloid claim that the sequel is being delayed so Tom Cruise can learn to fly a jet fighter. Paramount said Cruise, a licensed pilot, will do his own flying in the sequel but not a jet fighter. BLACK WIDOW---based on casting information, speculation is that the movie's villain could be The Red Guardian or Taskmaster. FKA USA---Warner Bros. bought the movie rights to the upcoming dystopian novel set in 2085 after the 50 United States have broken up into lawless territories. A factory worker. a talking goat, an android and a lobotomized convict embark on a cross-country journey political mission. THE AMUSEMENT PARK---the long-lost George A. Romero horror movie was recently discovered. It was produced by a religious group as a PSA about how society treats the elderly. Funds to restore the movie may be sought through the George A. Romero Foundation. LIBRARY OF THE DEAD---tv series underway based on the novel trilogy featuring FBI agent Will Piper. SWAMP THING---Kevin Durand (LOST) will play Jason Woodtrue in the tv pilot. 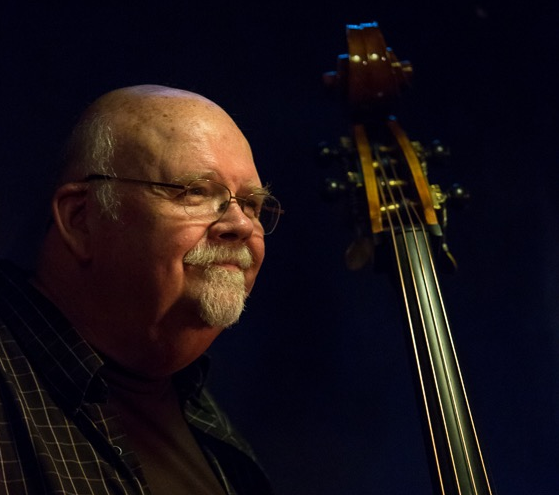 In DIAMONDS ARE FOREVER, jazz bassist Putter Smith got the role of SPECTRE assassin Mr. Kidd after director Guy Hamilton saw him perform with Thelonious Monk at the Los Angeles jazz club Shelly's Manne-Hole. THE MANDALORIAN---a rumor says Carl Weathers will co-star in the STAR WARS tv series. STAR WARS---Simon Pegg, a frequent critic of the George Lucas prequel movies, said about the recent STAR WARS movies, "I must admit, watching the last STAR WARS film [THE LAST JEDI], the overriding feeling I got when I came out was, 'I miss George Lucas.' For all the complaining that I'd done about him in the prequels, there was something amazing about his imagination. I do feel like his voice is missing from the current ones." Pegg appeared in THE FORCE AWAKENS as Unkar Plott and is good friends with JJ Abrams. WESTWORLD---a source claims HBO is seeking Antonio Banderas to join the cast as a villain for Season 3. He would join Aaron Paul as new co-stars. GAME OF THRONES---HBO announced Season 8 will premiere in April, 2019, but did not give a specific date. THE WALKING DEAD---the first episode after the departure of Rick Grimes lost a modest 1% of the audience from Rick Grimes' last episode. HUMAN CAPITAL---Liev Schreiber and Marisa Tomei will star in the movie based on the novel. GARFIELD---Mark Dindal (CHICKEN LITTLE) will direct the animated movie based on the comic strip cat. ALF---the revival of the sci fi sitcom was cancelled due to a lack of interest by the networks. DAVID SPADE---untitled HBO comedy series starring David Spade as a semi-famous 1990s grunge musician who is now working as a waiter and befriends a troubled 20-something actress. 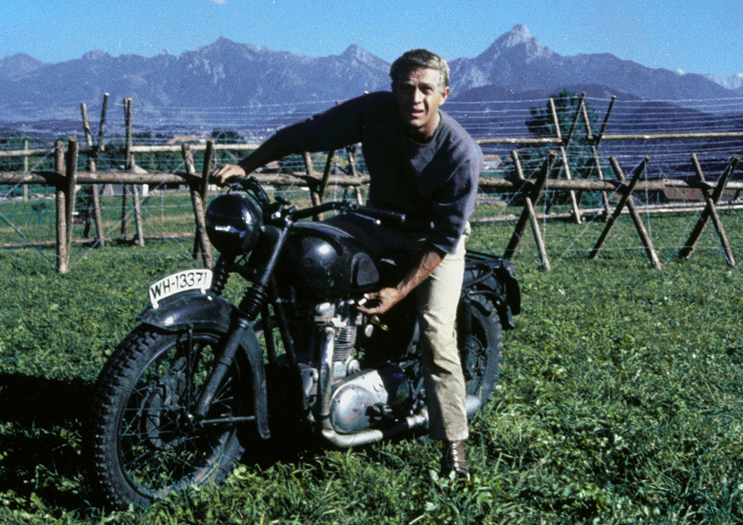 TRIVIA---in THE GREAT ESCAPE, Steve McQueen's character, Virgil Hilts, was based on several POWs. 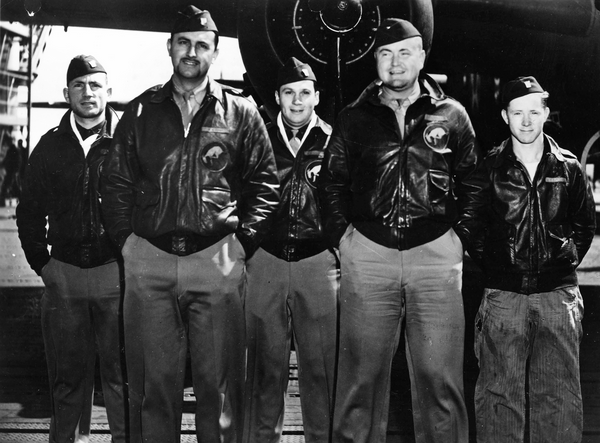 Director John Sturges said Hilts was primarily based on Maj. Gen. David Jones, who was a pilot in the famous Doolittle Raid, the US bombing raid on Tokyo and other cities four months after the Japanese attack on Pearl Harbor. In THE GREAT ESCAPE, Maj. Gen. David Jones (mustache), who was a pilot in the Doolittle Raid on Tokyo, was the main inspiration for Steve McQueen's character, Virgil Hilts. Jones was shot down over North Africa and became a POW at Stalag Luft III. 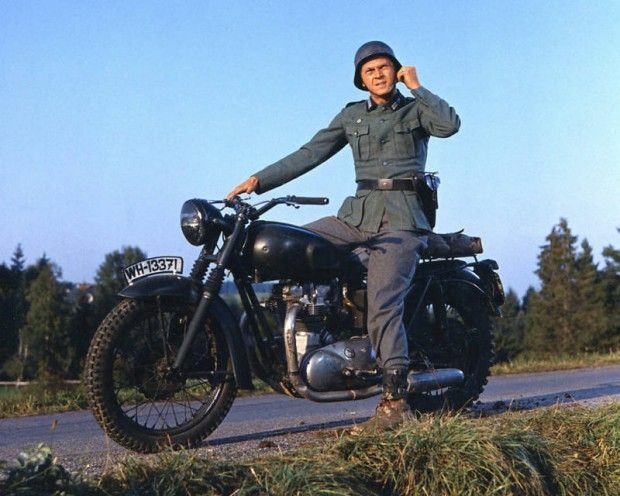 He was a member of the camp's "escape committee" and was the team leader for digging the tunnel code-named "Harry"
In the motorcycle pursuit scene, one of the German motorcyclists pursuing McQueen was played by McQueen himself, so McQueen was pursuing himself. In the barbed wire scene, the barbed wire was actually bits of rubber bands twisted together by the cast and crew during their spare time. THE MANDALORIAN---photos from the tv series set shows three actors wearing Stormtrooper armor, two in white and one in black. The black armor suggests he is a Death Trooper, who first appeared in ROGUE ONE: A STAR WARS STORY. 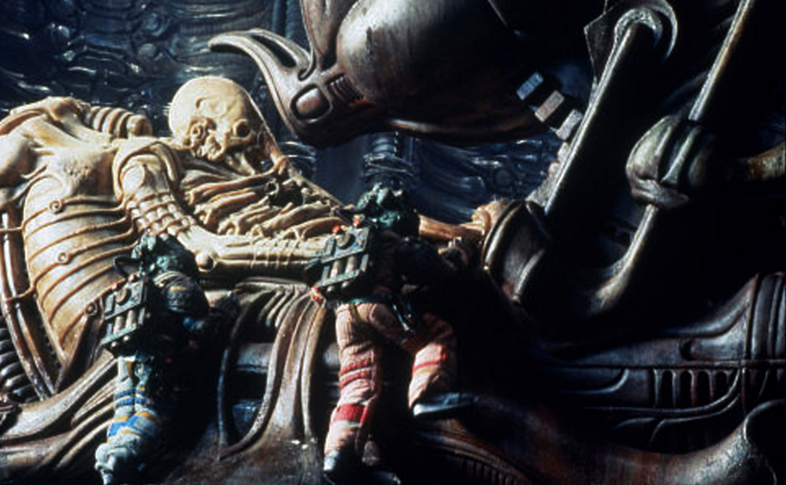 ALIEN: AWAKENING---information on the shelved sequel to ALIEN: COVENANT involved the Engineers seeking revenge against David after his black goo attack against them. Speculation is the script by John Logan had David using Xenomorphs to fight the Engineers and the Engineers pursuing David to moon LV-426 featured in the original movie.This would have led to the origin of the Space Jockey and the spaceship filled with eggs that were discovered by the crew of the Nostromo on LV-426. MASTER AND COMMANDER---today is the 15th anniversary of the naval epic about the HMS Surprise during the Napoleonic Wars that was supposed to launch a franchise based on the novel series. The Peter Weir-directed movie starred Russell Crowe, Paul Bettany and James D'Arcy. Although it received ten Oscar nominations, the $150 million movie only earned $212 million at the box office and barely broke even. WILD CARDS---Hulu is developing two tv shows based on the novel series edited by George RR Martin. NINE LIVES---Common (JOHN WICK) and Jonny Lee Miller (ELEMENTARY) will star in this movie based on the Ursula K. Le Guin sci fi novelette. THE ORVILLE---STAR TREK tv veterans Marina Sirtis and Robert Picardo will guest star in Season 2 in which Ed and Kelly's relationship takes a new turn, they battle the Krill again and they return to the planet Moclus. Season 2 premiers on December 30. BLACK HAMMER---Legendary Entertainment bought the movie and tv rights to the comic book. THE GOOD COP---Netflix cancelled the series. ACADEMY AWARDS---the controversial Most Popular Film Oscar that was considered dead may be resurrected according to Academy President John Bailey, “[It] seemed like a good idea, the board approved it, announced it, but we got a lot of pushback. So the board reconsidered and tabled it – which is not to say that the idea is dead. Even after a stake was driven through its heart, there’s still interest." A source said the effort to revive the award is an attempt to boost sagging tv ratings for the Oscar ceremony. DIRT MAN---Stan Lee's daughter, J.C., said she and her father were working on a new superhero named Dirt Man. J.C. said she originated the idea and her father was helping her up until his death. THE GLORIAS: A LIFE ON THE ROAD---Alicia Vikander is in negotiations to play Gloria Steinem in her 20-40s in this biomovie based on Steinem's memoir. Julianne Moore will play Steinem over 40 years old. Bette Midler is in talks to play a supporting role. TEMPTATION ISLAND---USA Network is rebooting the reality series with Mark L. Walberg returning as the host. TRIVIA---in REAR WINDOW, Alfred Hitchcock's traditional cameo is in the apartment of the songwriter, who is played by Ross Bagdasarian, creator of Alvin and the Chipmunks. 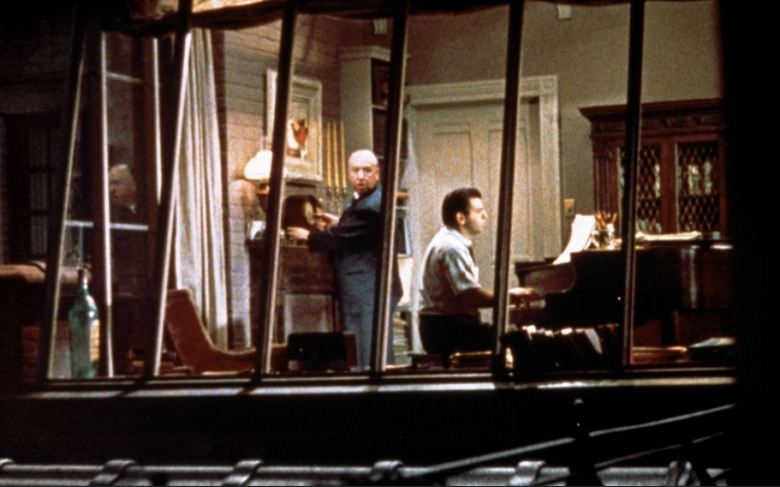 In REAR WINDOW, Alfred Hitchcock's cameo is in the apartment of the songwriter who is played by Ross Bagdasarian. 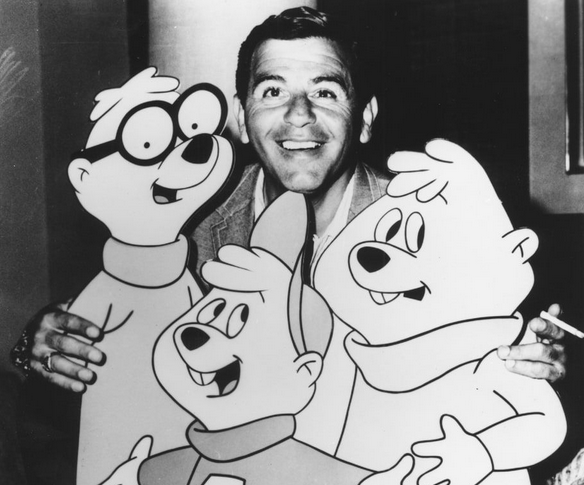 Bagdasarian created Alvin and the Chipmunks.